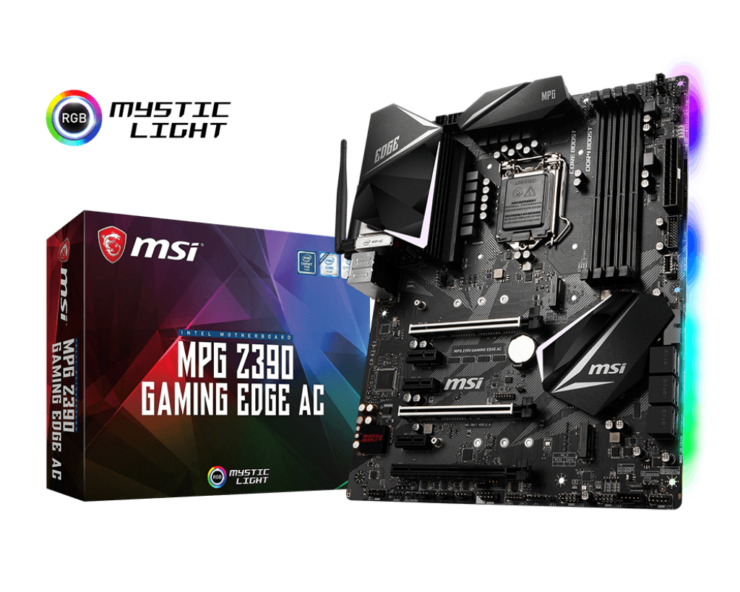 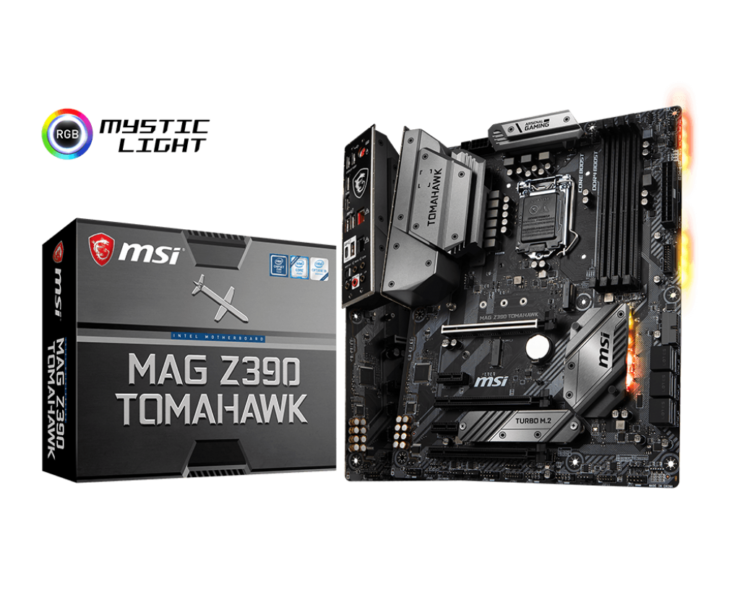 MSI is launching a very powerful Z390 motherboard lineup with their Z390 Godlike taking the helm as the new flagship. 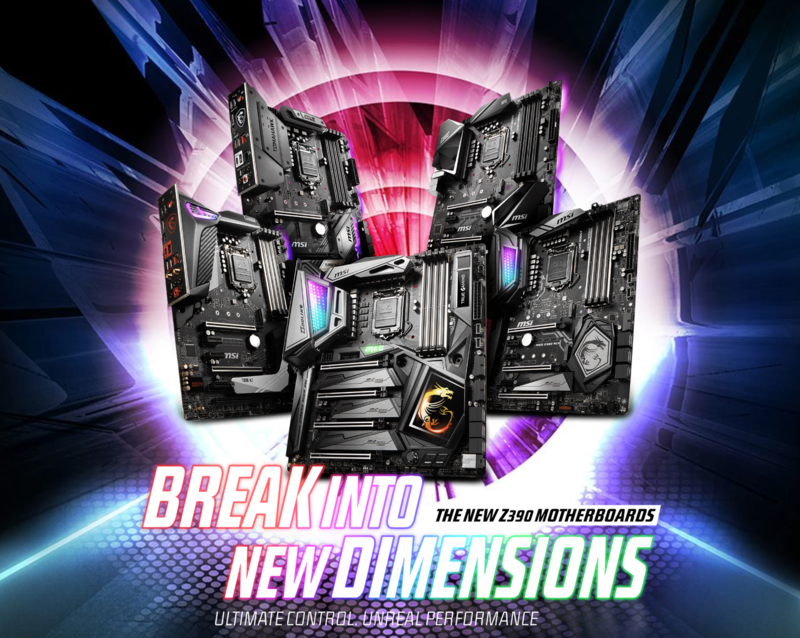 The motherboard lineup will include a range of products designed for gamers, enthusiasts and overclockers, offering full support for the new 9th generation core processors and also the existing 8th generation core processors. 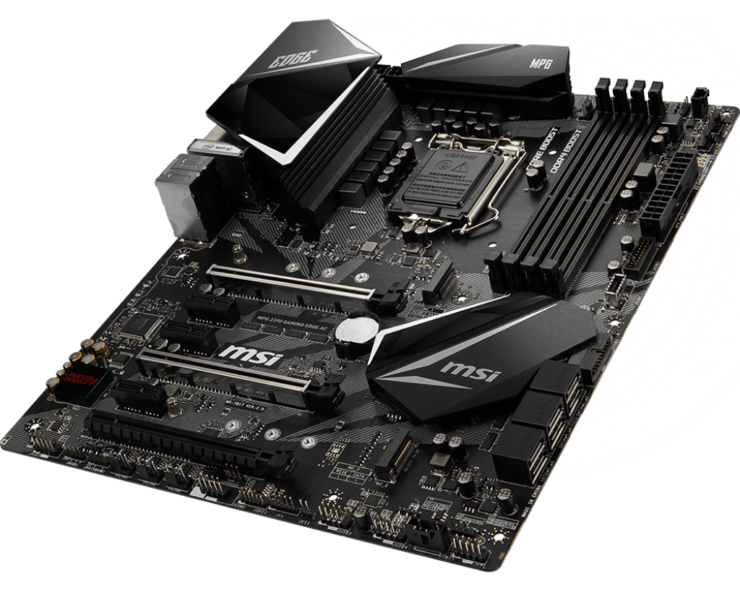 The MSI motherboard series is made up of four different categories, each of which is aimed at different types of users. 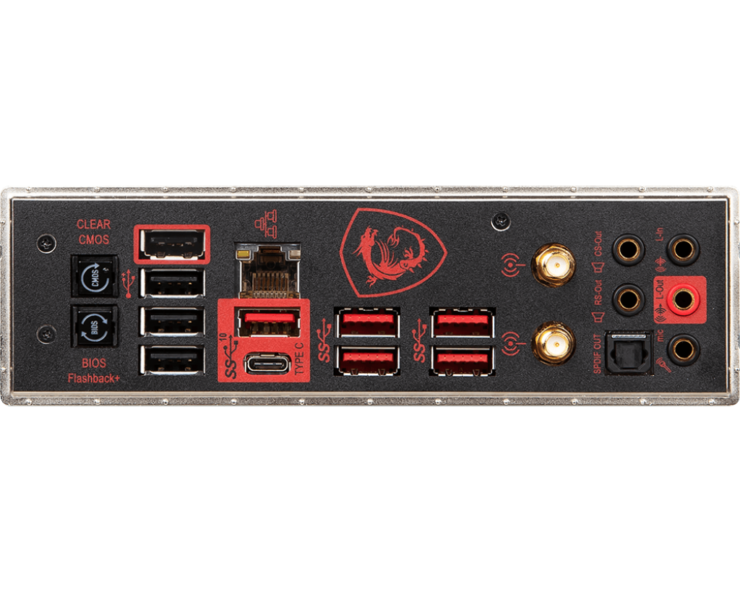 The large variety offers users the ability to select their choice of board based on their requirements. 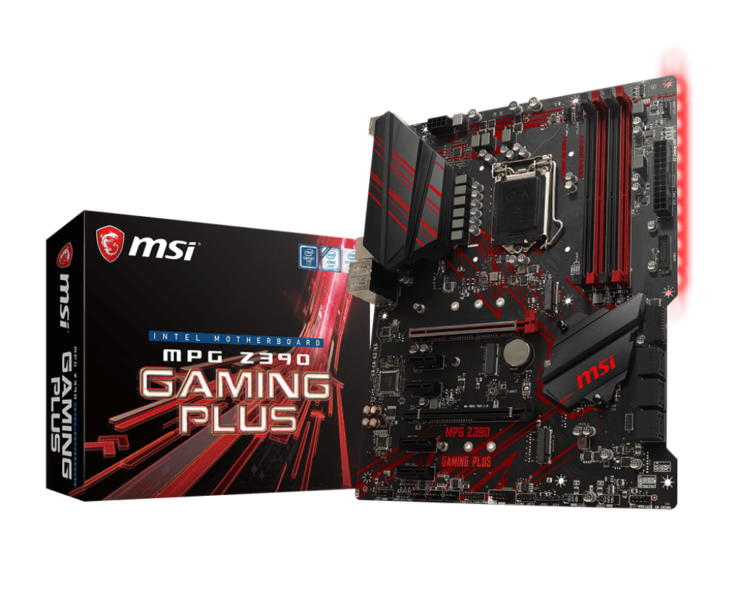 The high-end gaming series is known as MEG or MSI Enthusiast Gaming, then comes the MPG lineup or MSI Performance Gaming. 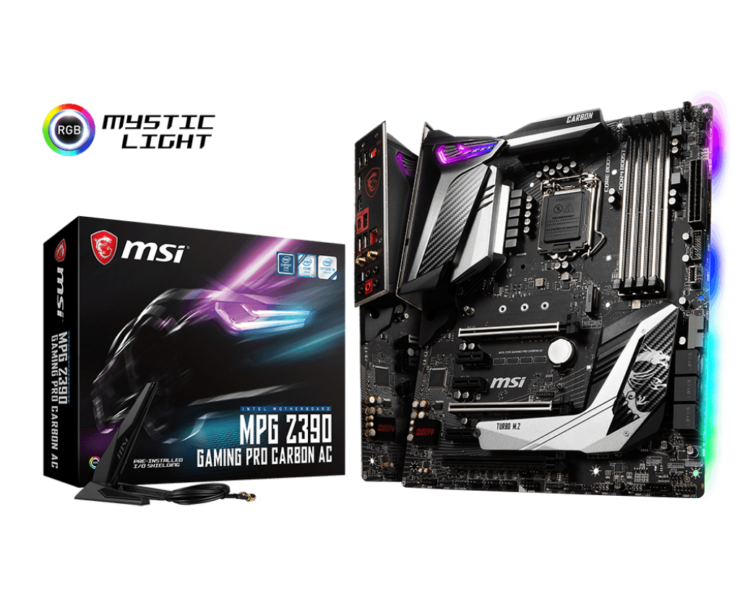 There’s also the mainstream gaming MAG lineup which is known as the MSI Arsenal Gaming and finally, we have the standard Pro series lineup which is designed for users on a budget while retaining the most useful Z390 features. 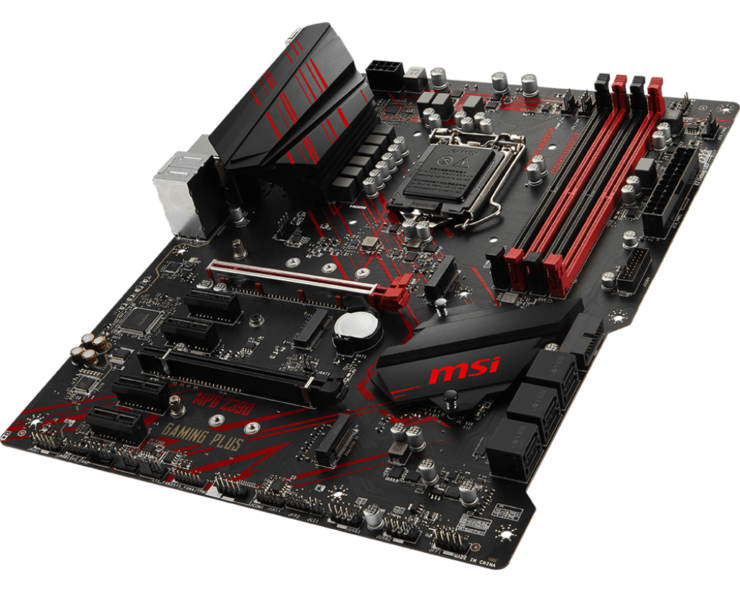 MSI has a total of 11 motherboards in their lineup which we know of so far. 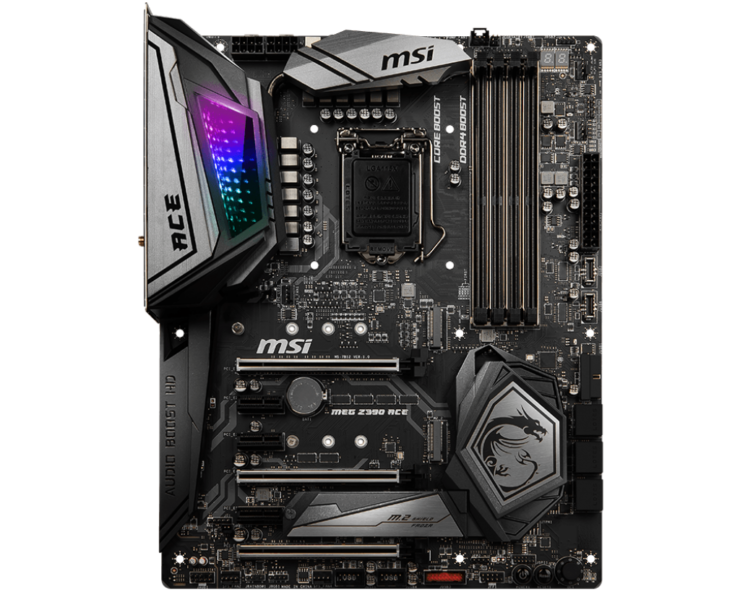 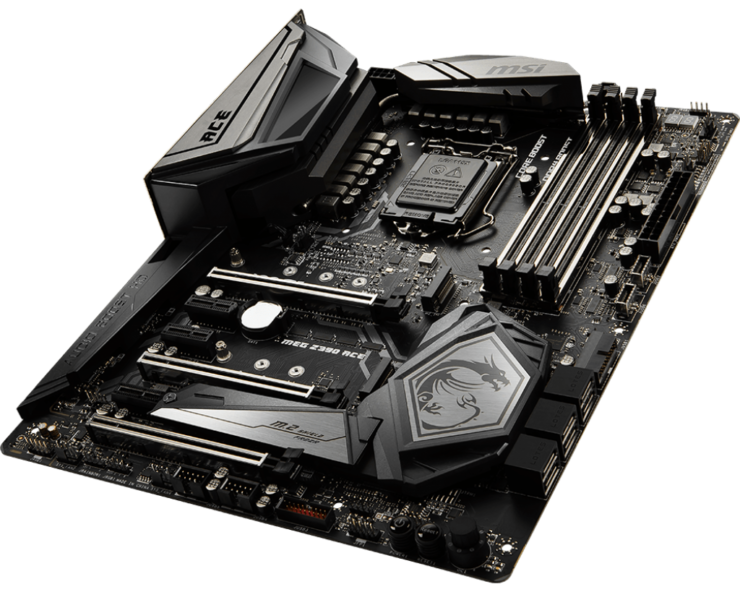 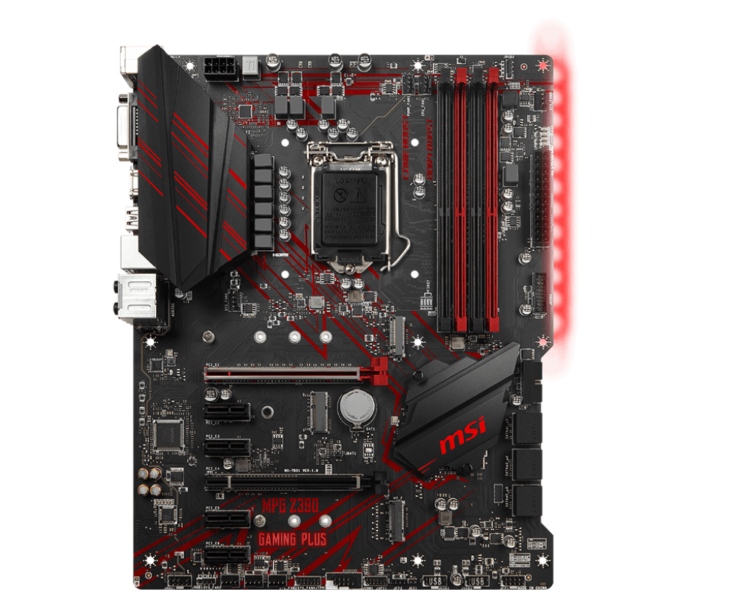 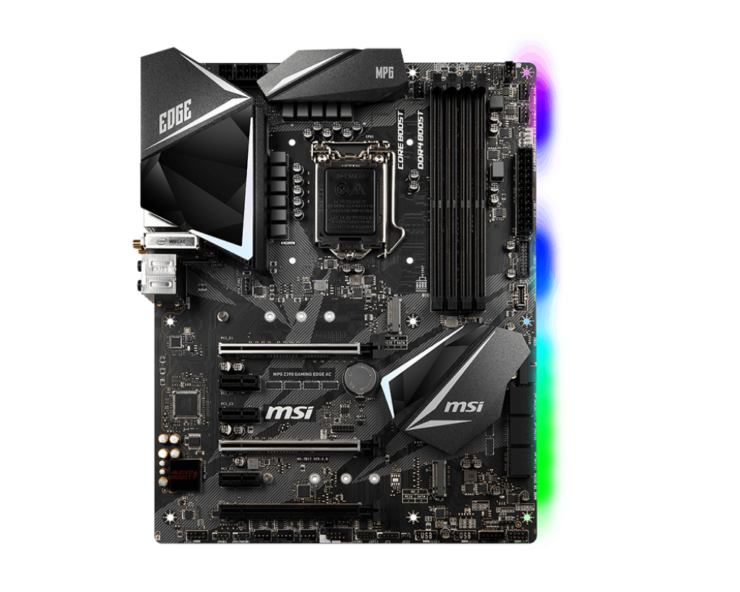 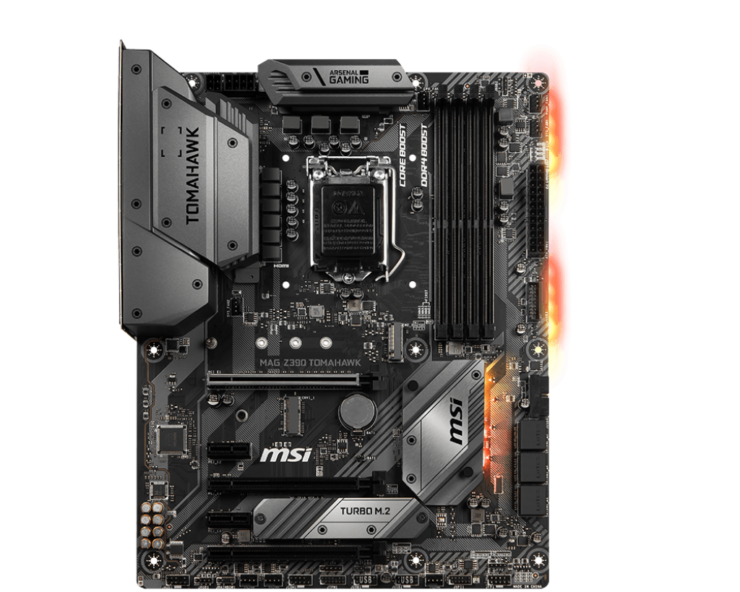 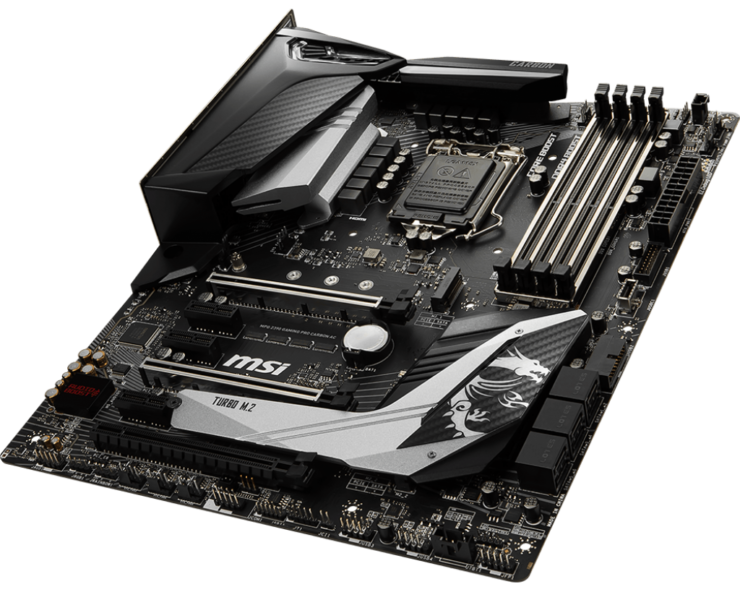 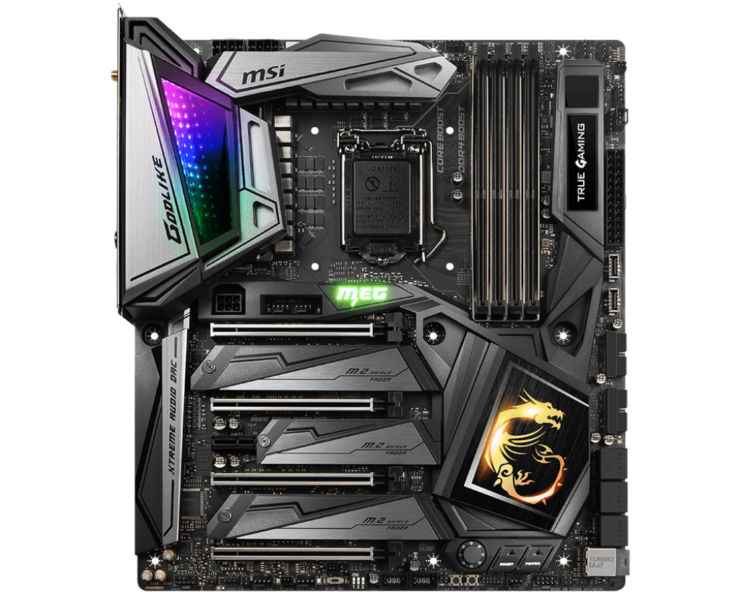 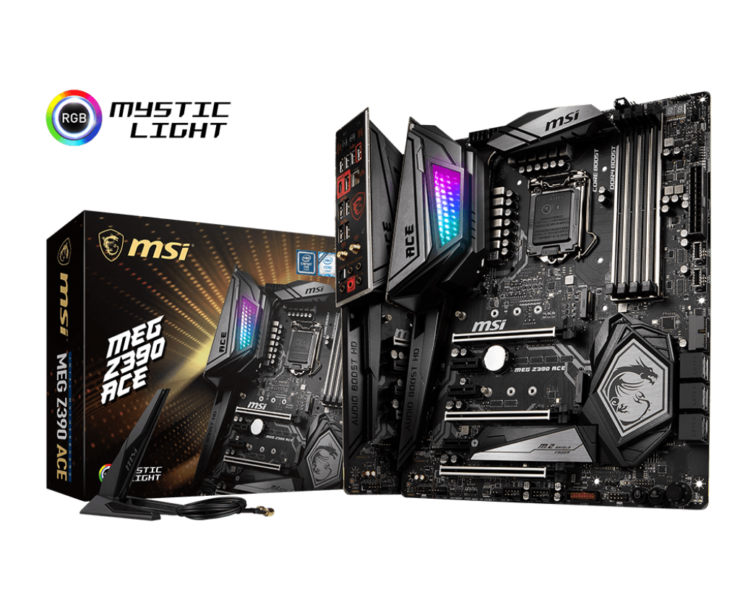 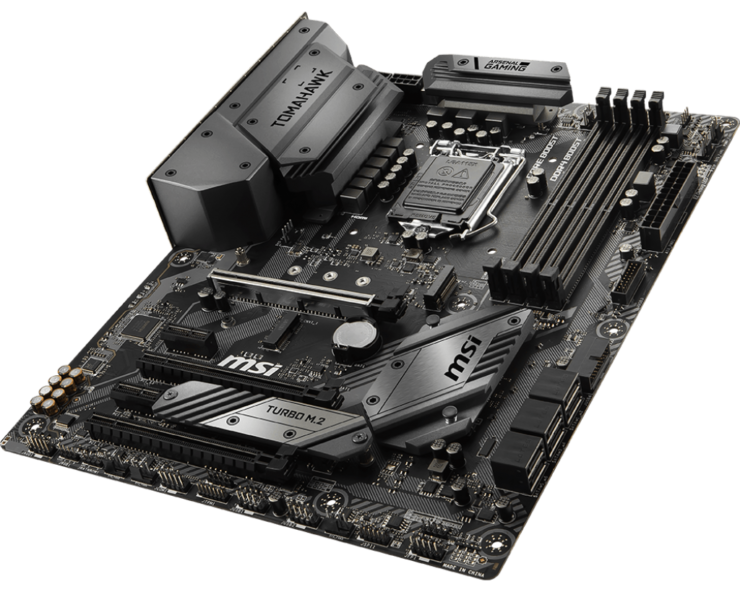 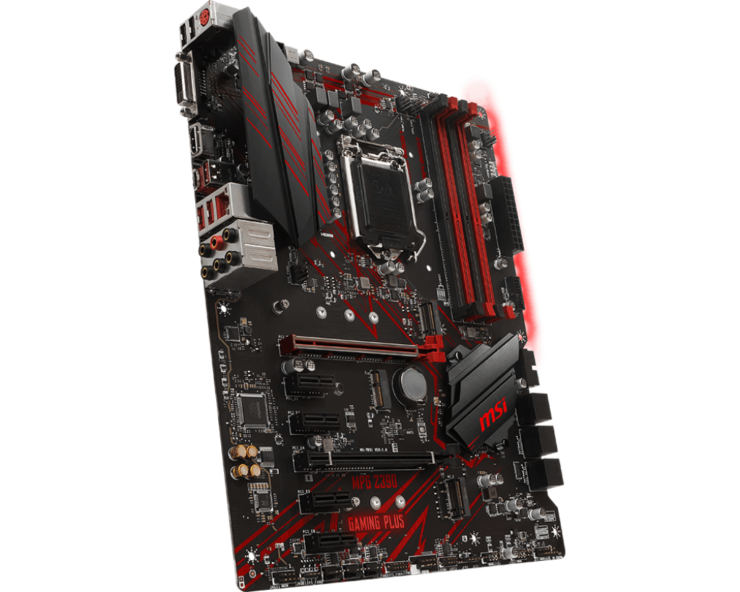 The flagship board is without a doubt the MEG Z390 Godlike which is in a league of its own. 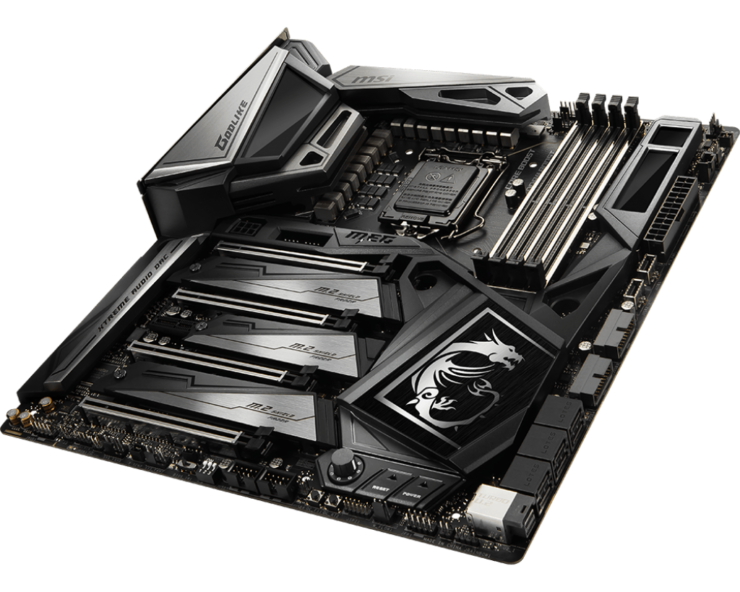 This motherboard is often sighted as the best product that money can buy hence it is the most expensive of the entire Z390 bunch. 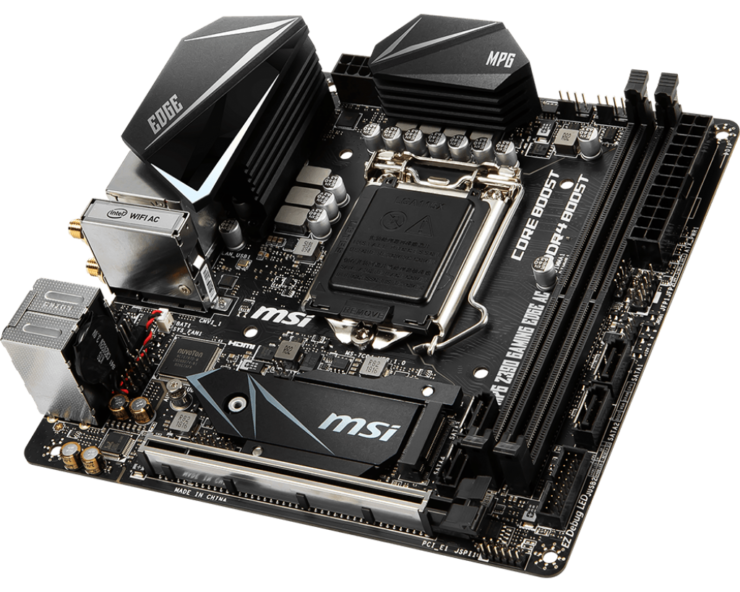 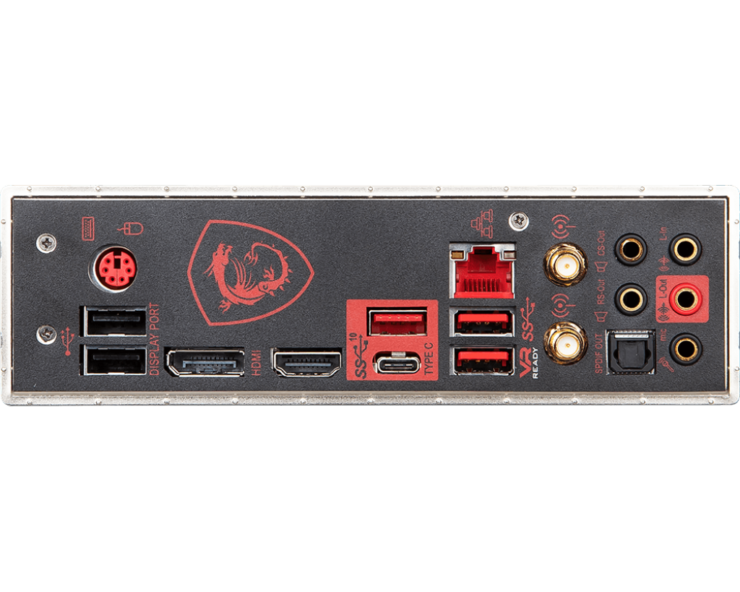 Before getting into the board’s technical details, the package includes an M.2 Xpander card, a streaming card, and high-end WiFi antennas. 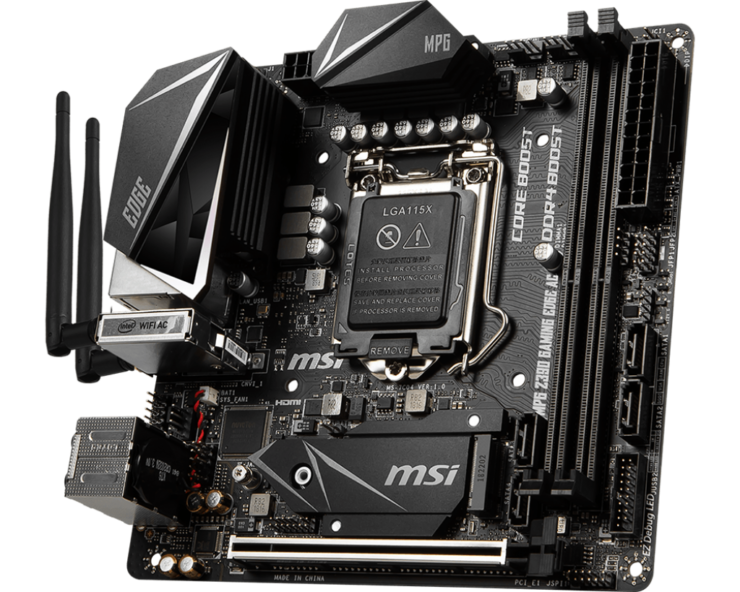 These are good additions for the motherboard that is designed for the gaming audience. 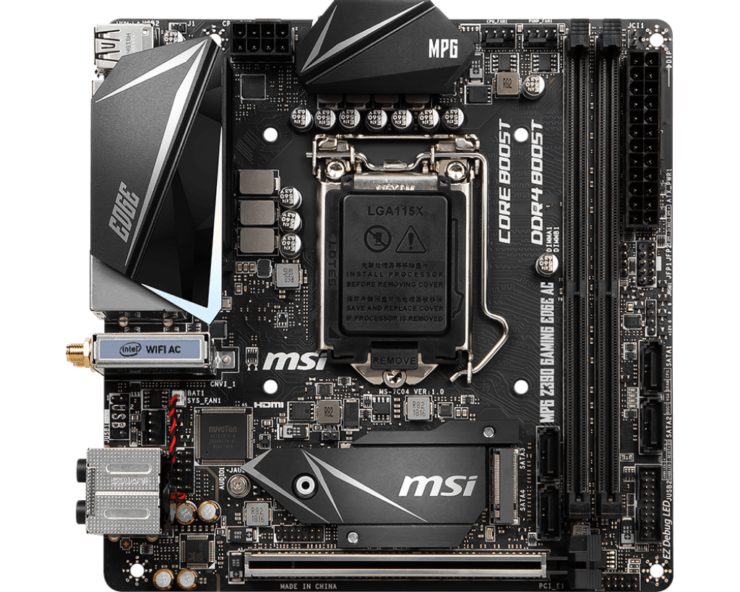 Moving on to the board itself, we are looking at a 16+2 phase VRM design that power the LGA 1151 socket. 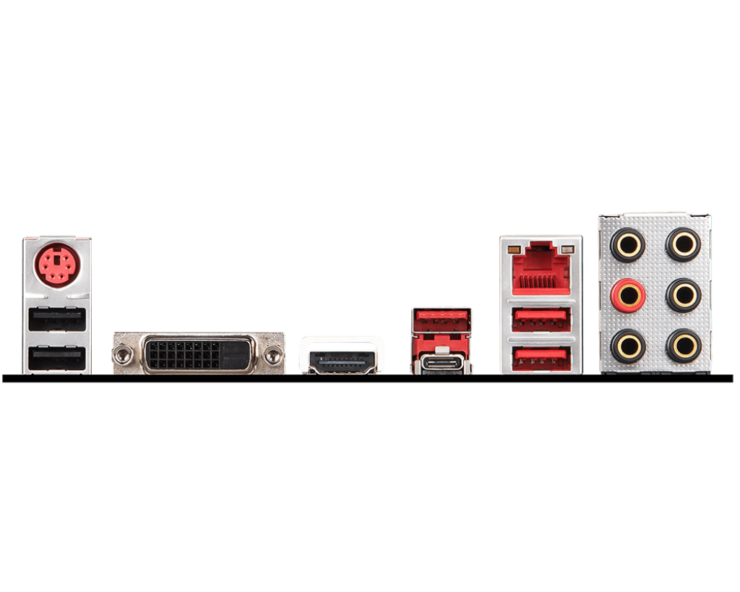 Power is delivered through dual 8-pin connectors while the 24-pin ATX connector powers the motherboard itself. 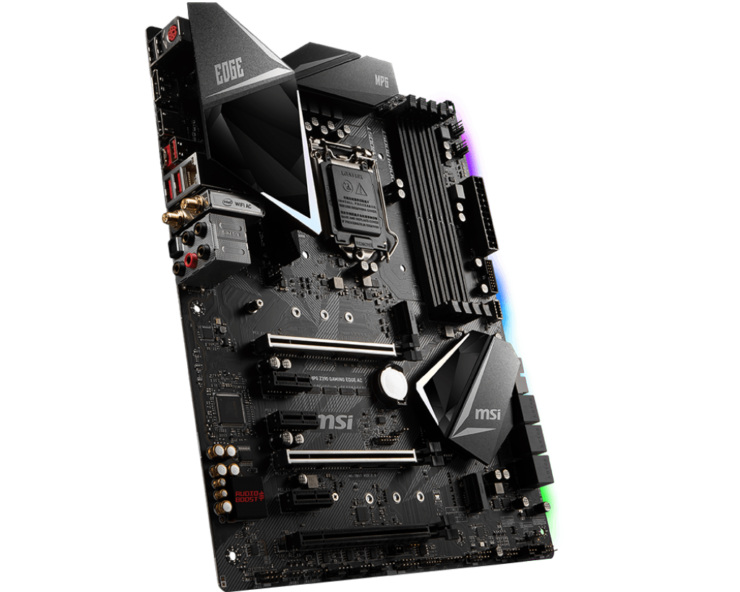 There are four DDR4 DIMM slots that feature metallic shielding and would support up to 64 GB capacity with speeds beyond 4400 MHz (OC+). 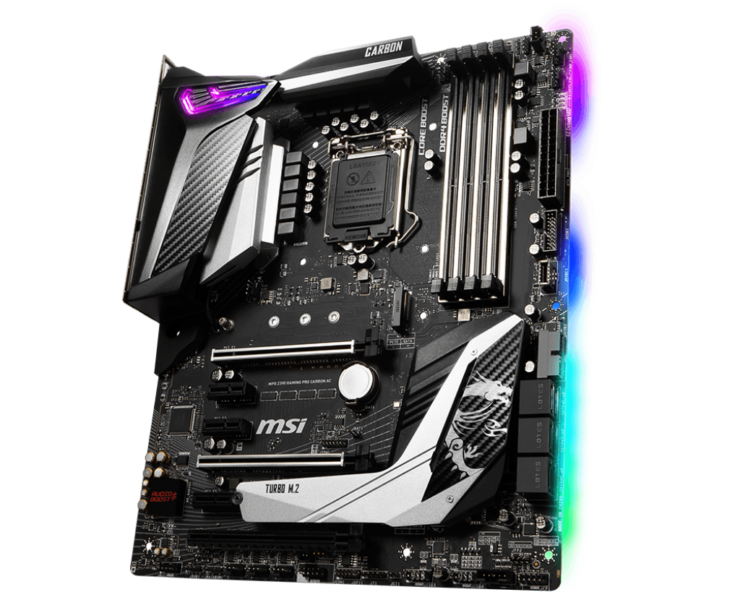 Expansion slots include a total of four PCIe 3.0 x16 slots with metallic shielding, triple M.2 slots with heatsinks in addition to the 2 which are provided by the Xpander 2 card. 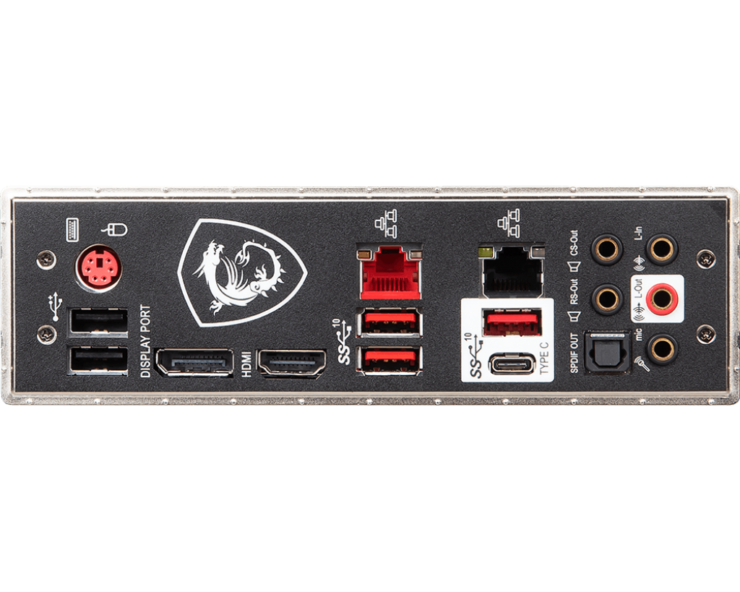 Storage includes 6 SATA III ports, a single U.2 port and also two USB 3.0 front panel headers. 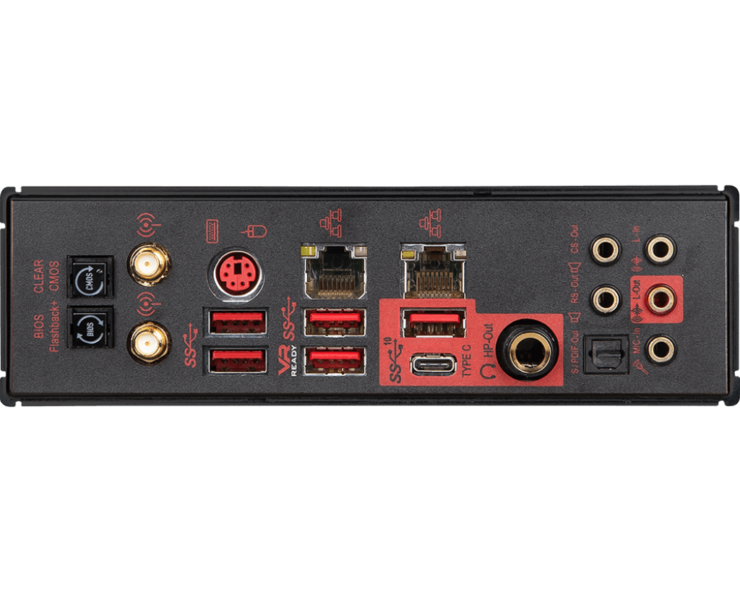 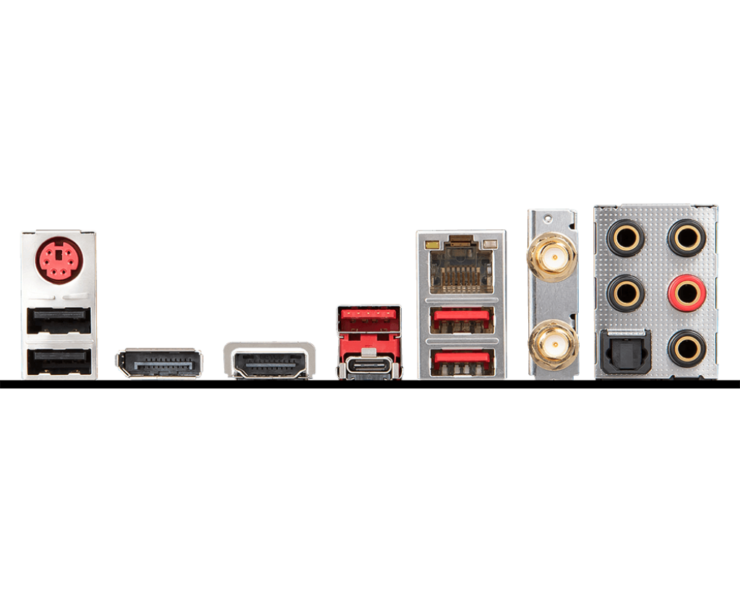 You can also spot a single 6-pin connector hidden over the PCIe slots that will offer more power when using multiple PCIe expansion devices. 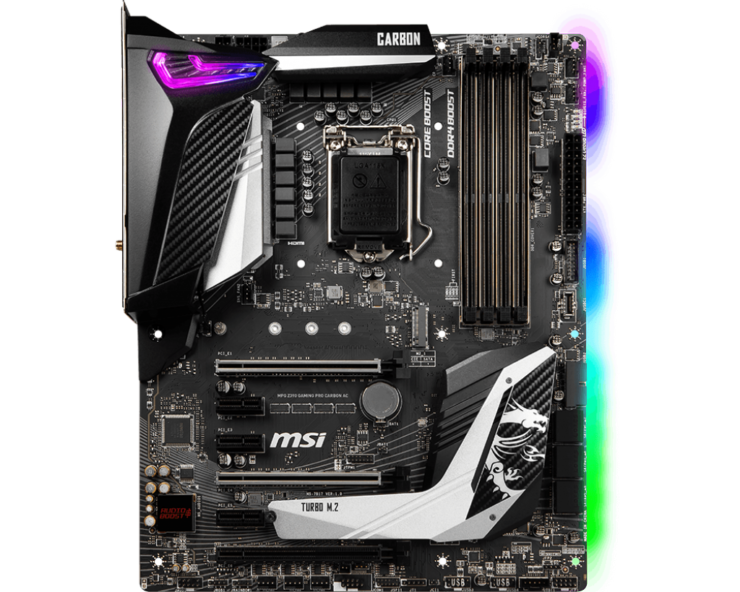 The location of this slot, however, is very odd as it can cause poor cable management when routing the cable in the middle of your board although that would be hidden underneath your graphics card. 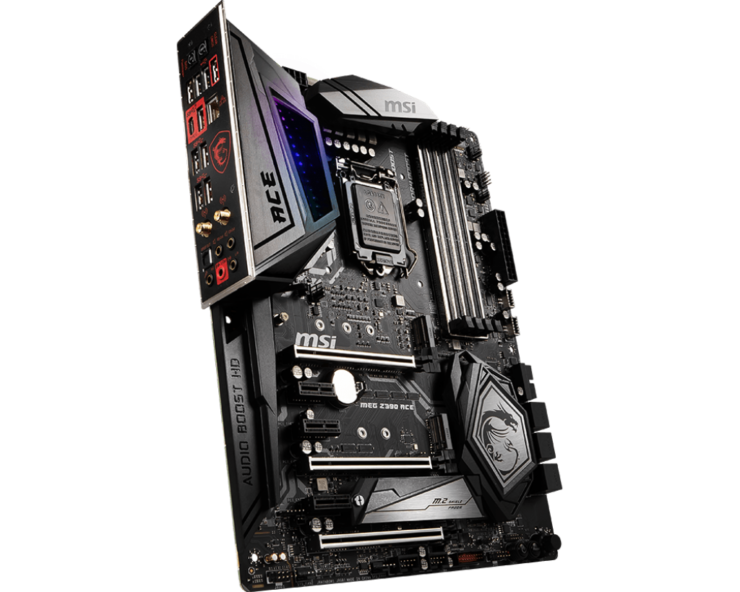 The design itself is very aggressive with the front plastic shroud expanding across the entirety of the board. 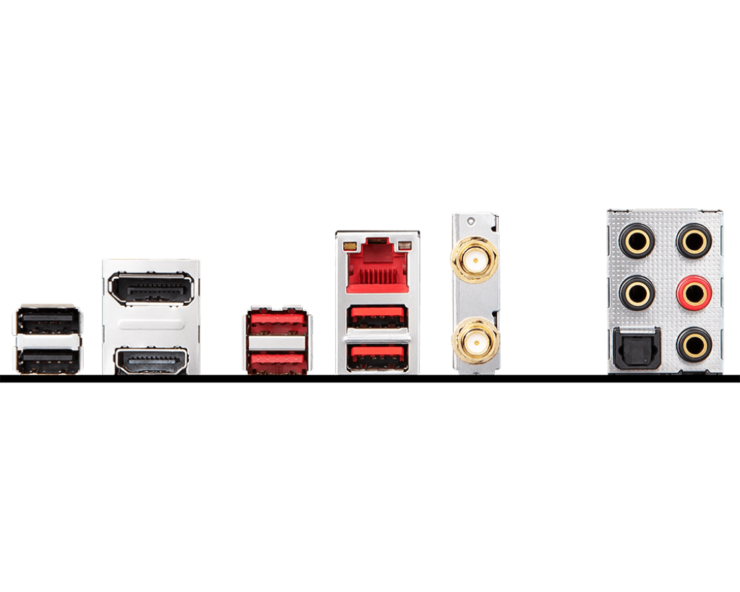 The heatsinks are obviously made up of high-grade aluminum and feature heat pipe cooling. 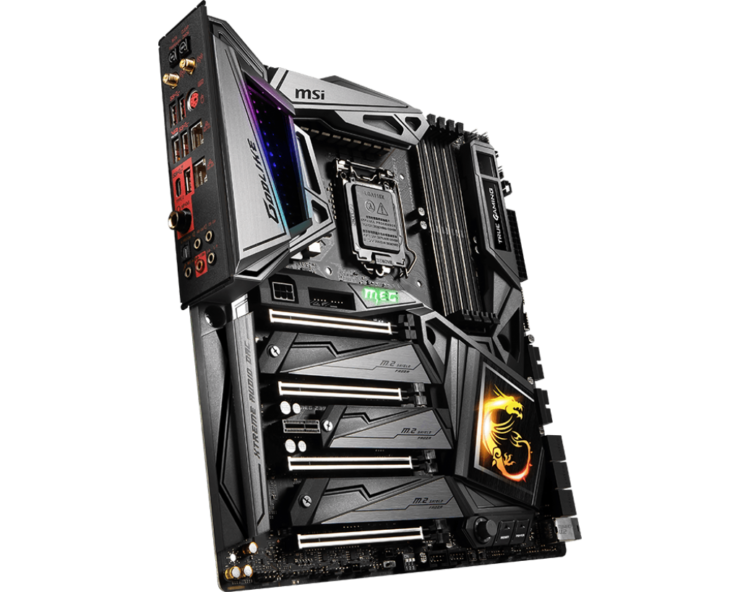 The best part is the I/O cover which features RGB illumination through the infinity panel that looks amazing. 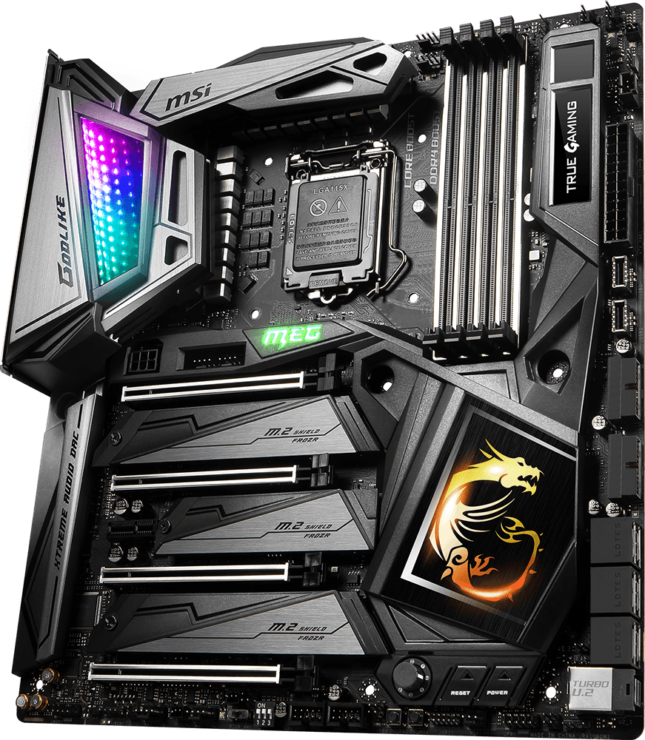 The PCH heatsink has the MSI Dragon logo illuminated in RGB LEDs. 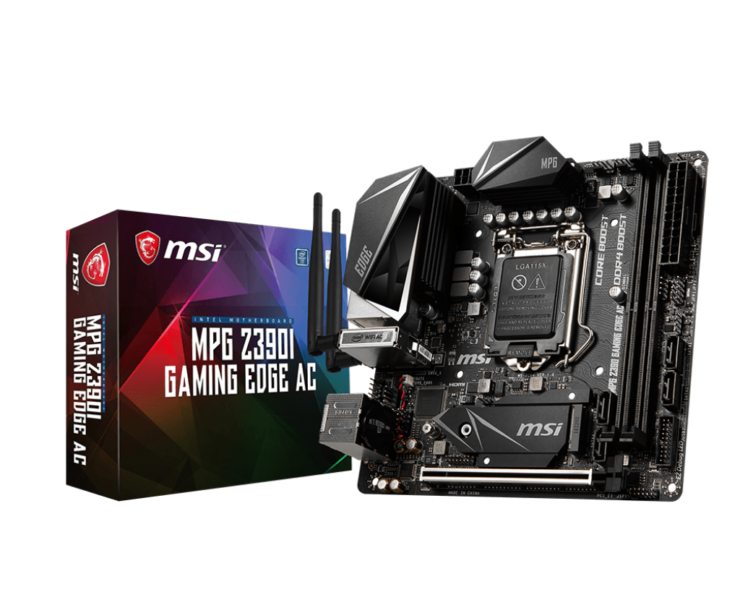 The MSI Z390 ACE is a more toned down version of the Godlike Gaming and should come at a much lower price point. 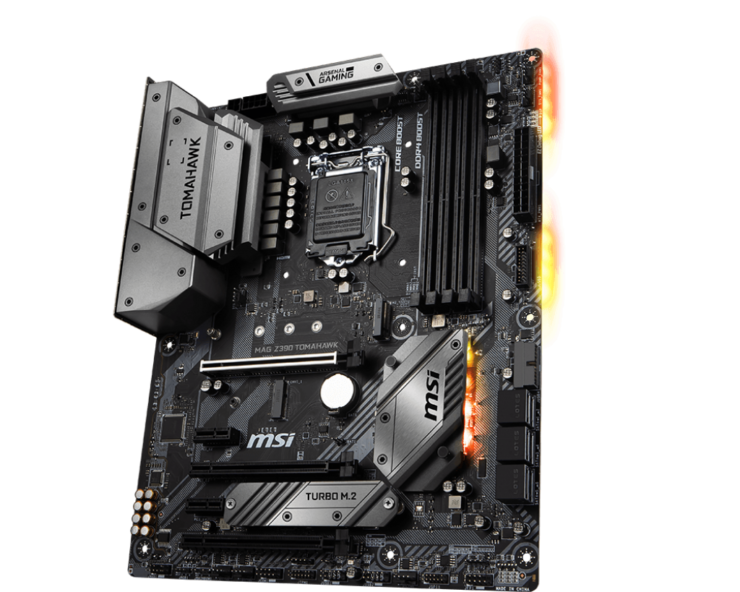 The other boards are great in their own right and you can check out details at their respective links.